Trinity School of Medicine has been listed by the U.S. Veterans Administration as an approved International Medical School for students desiring to use Post-9/11 GI Bill benefits for their higher education. 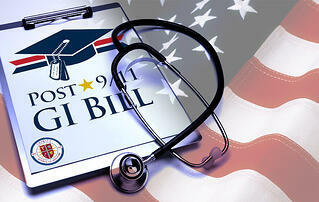 The Post- 9/11 GI Bill is an education benefit program that gives Veterans with active duty service on, or after, Sept. 11 2001, enhanced educational benefits that cover educational expenses, provide a living allowance, and money for books and supplies. 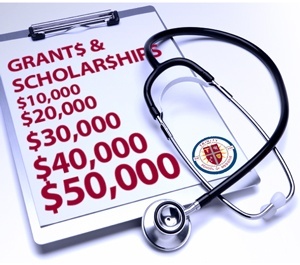 To further support and encourage the dedicated men and women who served their country and who intend to continue in the service of others through medicine, Trinity School of Medicine offers a Military Service Grant for qualified applicants entering the MD program. You served with honor and you’re ready to pursue a career in medicine. For service persons who are preparing for a career in medicine and who want to do so by earning their MD, you now have the ability to pursue your education and training with Trinity School of Medicine. Pending acceptance to the MD program, apply for your VA benefits online, in person, or request an application over the phone.